The most interesting rates in Costa Smeralda, such as the Winter Low for a 10-month berth including periodic checks on board even during your absence. Request a quote now. Over 60 shops in the nearby shopping centre. Read more on our Welcome Pages: shopping e supplies. Bar, bistro and restaurant open all year round; nautical services agency. Read more. 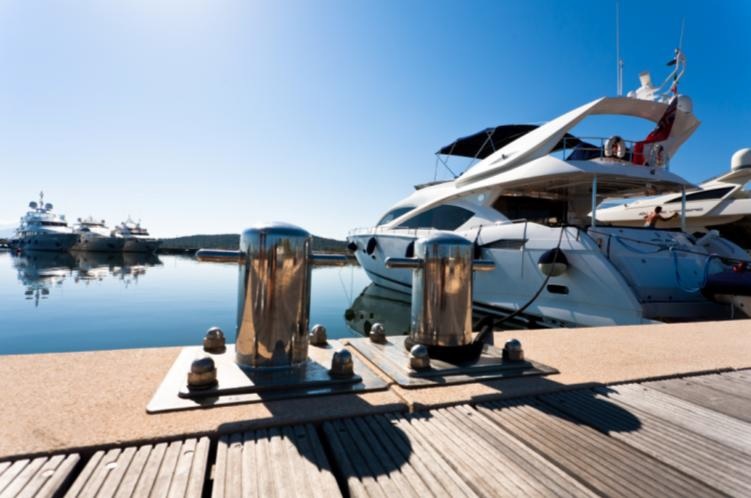 Look at the list of companies which together cover all aspects of boat care and provide a comprehensive range of routine repairs and long-term maintenance services. Shopping centre 1 min., airport 3 min., city centre 5 min., ferry terminal 7 min. Read more. The adequate space for all boats, with all our outstanding services, the ideal starting point for charters and boating. Look at the map of the Marina. The largest marine fuel berth on the northern coast of Sardinia: a 150-metre dedicated dock which can accommodate up to 7 boats simultaneously, up to 100 metres in length. Read more. Useful guide to the Marina, and the on-site most qualified professionals for your boat's repairs and maintenance, the best suppliers for all your needs, suggestions for shopping, free time and eating out. Read more. A 12-MONTH PEAK SEASON 15 MILES FROM THE COSTA SMERALDA. 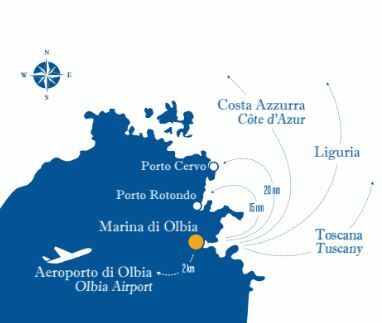 Located in a privileged position, Marina di Olbia allows you to quickly reach the most famous and beautiful places in the Costa Smeralda. Opened in 2009, therefore in pristine conditions Marina di Olbia offers cruisers and professional mariners first-class hospitality and assistance, as well as a number of facilities and services which make it the perfect berth. Special tariffs such as the Winter Low guarantee your boat berthing and assistance all winter long.